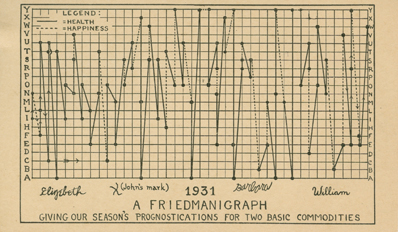 William Friedman (1891-1969) is probably the most successful codebreaker in history. In his career, which spanned almost four decades, he solved over 1,000 encryption codes, including the Japanese WW2 cipher machine “Purple”. His wife Elizebeth, was an outstanding codebreaker in her own right. Among other things, she cryptanalyzed numerous codes of rum smugglers in the prohibition era. 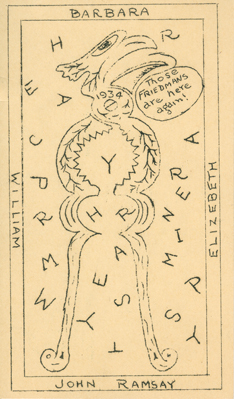 As it seems, William and Elizebeth Friedman not only were great codebreakers, but they also enjoyed designing cryptographic and steganographic puzzles (see my article about William Friedman’s hidden messages from earlier this week). 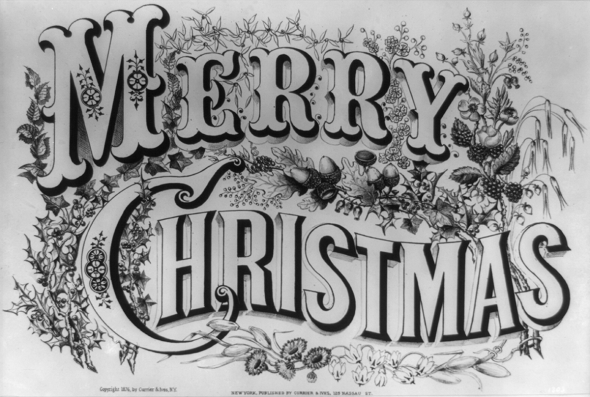 This can be seen from the Christmas cards they sent to their friends and business partners in the 1920s and 1930s. Six of them are described in a blog article published by the George Marshall Foundation. 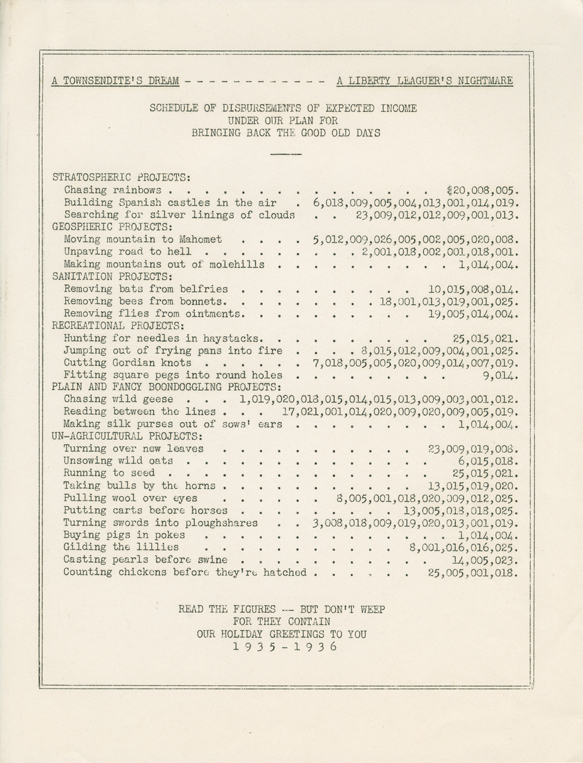 These cards are a part of the William Friedman collection that was declassified in 2014. This card from 1928 contains a Fleissner grille encryption. BRINGS YOU WORD OF XMAS CHEER. 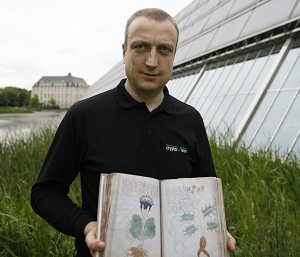 This card is written in a code based on a series of family photographs. 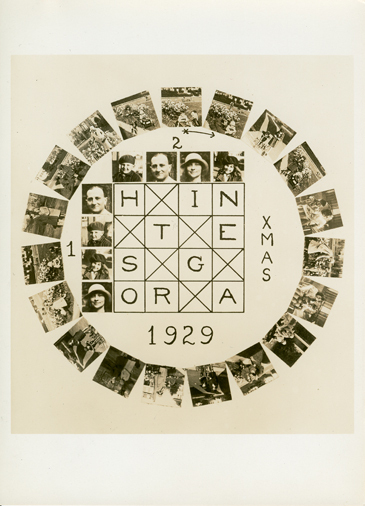 According to the blog post mentioned above, the order in which each family member appears in the photograph corresponds to a different letter, so the reader has to determine the letter represented by each photograph to reveal the Christmas message. Honestly, I can’t decrypt this one. I don’t know if this is even possible with this scan, as the photographs are very small. Can a reader help? 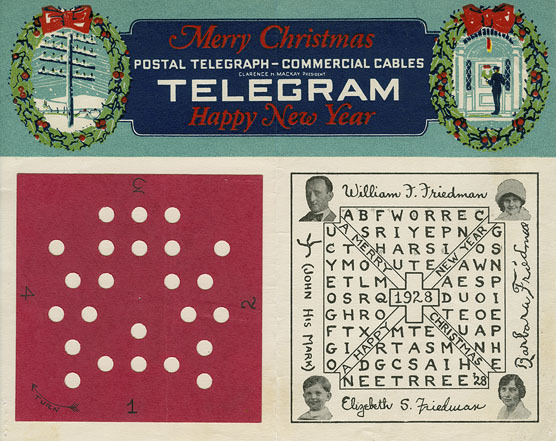 This “Friedmanigraph” is a dot cipher, i.e., each dot stands for a letter (from left to right). Can you read the message? 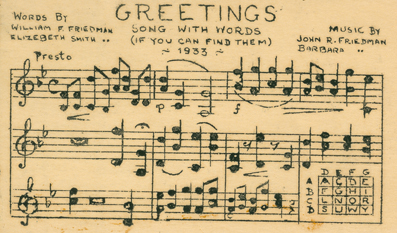 Last week, I blogged about musical ciphers. Here’s another one. The key is given in the lower right corner of the sheet. Each letter of the alphabet is coded by two notes played simoultaneously. Can you read the message? There’s one thing I find interesting about this musical cryptogram. As many readers will know, the note B is named H and the note B flat is named B in German and many other European languages. As can be seen, this piece is in E flat major, which means that all Bs become B flat (in German: all Hs become Bs). For this reason, it doesn’t make a difference whether one uses the English or the German note names. I don’t know whether this is just a coincidence or if the Friedman’s chose the E flat minor key on purpose to avoid confusion. In addition, I wonder who the composers John R. and Barbara Friedman were. Were they relatives of William and Elizebeth? I don’t know, which cipher is used here. Can a reader help? And who was John Ramsay? This document doesn’t look much like a Christmas card. But look at the numbers! Every digit group separated by commas stands for a letter. Can you decrypt the Christmas greeting? Words are separated by barlines.